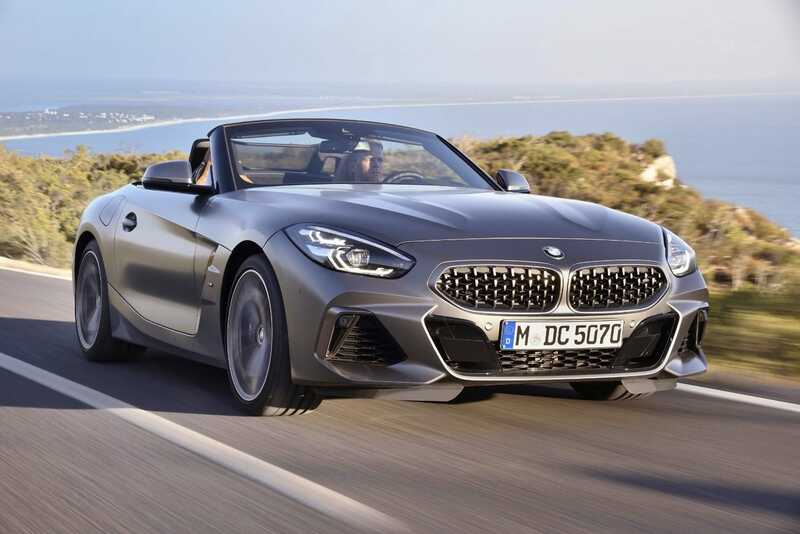 IT’S got an extroverted exterior, designed by Australian Calvin Luk, and a focus on pure driving enjoyment, with the 2019 BMW Z4 roadster set to roar into local showrooms in April. When it lands, it will come in three flavours, with the Z4 sDrive20i sitting at the base of the range and producing 145kW of power and 320Nm of torque from a 2.0-litre turbocharged four-cylinder petrol engine. Sitting about it will be the Z4 sDrive30i, generating 190kW and 400Nm from a tuned version of the same 2.0-litre turbocharged four-cylinder petrol engine. It’s the top of the line model though that will have roadster fans salivating. The Z4 M40i M Performance variant outputs 250kW of power and 500Nm of torque from its 3.0-litre turbocharged six-cylinder petrol engine. Key to its popularity will be the fact it’s rear wheel drive (across the range) and is fitted with a new sports auto transmission. The stylish interior offers a range of high quality touch points including full leather, a Sensatec dashboard and the latest incarnation of the BMW Live Cockpit Professional, as well as a host of safety features. Individual rollover bars will also provide an additional safety layer when the roof is down, while the standard-fit wind deflector increases cabin comfort when exposed to the elements. Increased practicality has also been delivered, with 281 litres luggage capacity available. As the soft top sits above the boot space, no reduction in capacity is realised when the roof is opened. An electrically-operated soft top reduces weight, complexity and centre of gravity over the previous model, and wider tracks and a shorter wheelbase will improve agility, while retaining 50:50 weight distribution for perfect balance. When you stroll into your local BMW dealership to buy a 2019 BMW Z4 roadster, you will pay $84,900 for the sDrive20i, $104,900 for the Z4 sDrive30i and $124,900 for the top-of-the-line M Performance offering, the BMW Z4 M40i. All prices are plus on-roads.